The New Jersey Appellate Division recently considered an appeal from a retired alimony payor who sought to have that obligation eliminated or, alternatively, reduced. The case is, among other things, a lesson in acting quickly in seeking a change in alimony after circumstances change. In this case, Rivera v, Rivera-Torres, the husband had been ordered to pay permanent alimony to his wife at the time of the divorce in 2012. He petitioned to have that alimony obligation terminated in 2015. The husband had retired shortly after the divorce, which he argued constituted a change in circumstances warranting termination of alimony. Since retiring, he had lived only on Social Security retirement and had been unable to keep up with his alimony payments. By the time he filed his motion, he owed over $15,000 in alimony arrears. The judge ordered that, instead of alimony being terminated, the husband pay a reduced amount in alimony as of the date he filed his motion. The judge ordered that alimony would be terminated when the wife could begin collecting her own Social Security retirement, in July of 2017. The husband appealed. Among other things, he argued that the 2014 change to New Jersey’s alimony law should have resulted in his alimony obligation being terminated. This change to the law created what’s known as a “rebuttable presumption” that alimony should be terminated when the paying spouse reaches full retirement age. In other words, a court will assume that alimony should be terminated once a paying spouse reaches retirement age, and the receiving spouse will need to prove why that termination shouldn’t occur. Before the change in law, retiring spouses needed to prove that their retirement had changed their circumstances sufficiently that their ability to support themselves had been impaired. In its opinion, the Appellate Division rejected the husband’s argument. 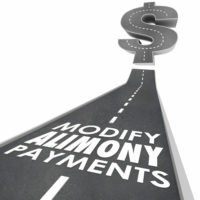 The opinion explained that the alimony statute clearly states that the new standard applies only to cases where no alimony order or agreement existed at the time the new statute was enacted. When the husband petitioned to have his alimony obligation terminated in 2015, an alimony order had already existed for years. The Appellate Division concluded that the trial judge had used the correct standard in concluding that the husband should have his alimony reduced due to his retirement, and should continue to pay until the wife could collect her own Social Security payments in 2017. Perhaps most importantly, this case is an example of why not to put off seeking the court’s intervention after a change in circumstances. The husband retired in 2012 but didn’t petition to have his alimony reduced based on his retirement until three years had passed and thousands of dollars in unpaid alimony had accrued. When requesting that his alimony at least be reduced, he had sought to have the reduction be effective as of the date of his retirement, not the date of when he filed his motion to terminate or reduce alimony, so that he would owe less in unpaid alimony. The court declined to make the reduction retroactive, since the husband “had not offered any justification for why he waited to make his application.” The husband’s delay likely cost him thousands of dollars. If you’re in need of experienced and dedicated legal help with a family law matter in New Jersey, such as a divorce or petition to reduce alimony, contact the Union offices of family law attorney John B. D’Alessandro for a consultation, at 908-964-0102.